Defend your skin from the environmental exposure of summer. 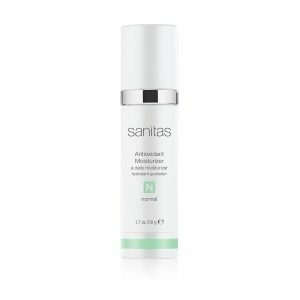 Sanitas Skincare gives topical antioxidants that strengthen the skin but that’s not just for summer. Summer is coming and but he first thing I would start with is Solar Block. You should actually already be using this. 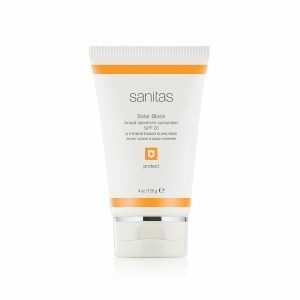 Solar Block is a full spectrum, blocks UVA, UVB and UVC, less is more. You already know, I won’t lecture. 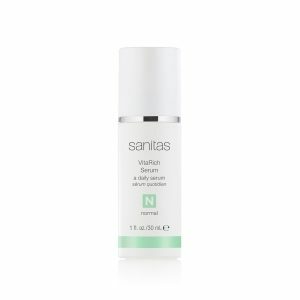 Sanitas Skincare VitaRich Serum strengthens your skin with Multi-vitamin. 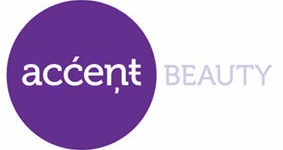 , vitamins A, C, D, E, K., all you need is a drop on damp skin. VitaRich gives your skin hydration and nourishment and protects against free radicals. What I love to do is spray some Moisture Mist in my hand and a spritz on my face my VitaRich spreads more evenly and I don’t use as much product. A highly concentrated moisturizer that replenishes skin’s moisture reserve and targets free radicals that can contribute to skin aging. Deeply nourishes to help minimize fine lines and wrinkles and leaves skin plumper, firmer and brighter.